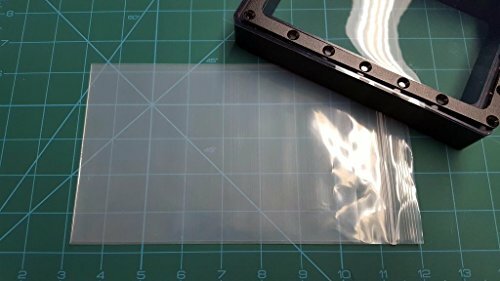 Replacement Teflon FEP film sheet sized for Wanhao Duplicator 7 D7 SLA DLP 3D resin printers and similar variants (including Anycubic Photon). 5 mil film thickness provides a good balance of strength and performance. Film should be replaced once signs of distortion or excessive sticking occur. Installation Tips: Pre-punching screw mounting holes in film first with either 1/16" hole punch or awl before installation will provide the best fit. Once installed trim excess film from perimeter so vat sits flush with printer. If you have any questions about this product by Wanhao Compatible, contact us by completing and submitting the form below. If you are looking for a specif part number, please include it with your message.